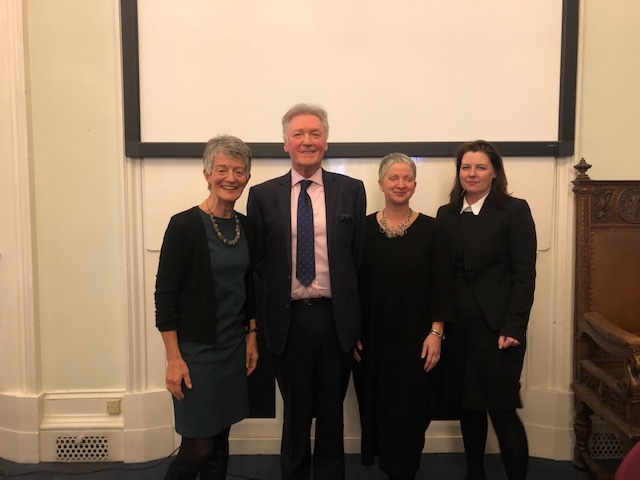 The Judicial Appointments Board were delighted to continue with their “So you want to be a judge?” series with a second event running in partnership with the Trainee and Newly Qualified Society Scotland (TANQ) last night. The event welcomed young lawyers to listen and interact with three judicial members who kindly gave up their time to participate in the event. Many thanks to the members of TANQ for helping us to run this event, as well as Sheriff O’Grady, Mrs May Dunsmuir (President of the Health & Education Chamber, First-Tier Tribunal for Scotland) and Summary Sheriff Gilroy for their invaluable thoughts and insights. Most importantly, thank you to all that came along to the event. We hope that you enjoyed the evening, learned a little bit more about what being a judge involves and are ready to consider your first steps towards a career in the judiciary. Feedback is always welcomed, so if you have any thoughts you would like to share with us please get in touch using our contact form. Please keep an eye on our twitter (@JudgeAppts) for more news about future events and competitions.